Not to be confused with Hudson Yards, Hudson Square is another up-and-coming neighborhood in Manhattan. Previously known as the Printing District due to the high number of printing companies that called the large floorplate buildings home, Hudson Square is located to the west of Soho, north of Tribeca, and south of the West Village. The neighborhood is serviced by the A, C, E, trains at Spring Street and Canal Street and the 1 and 2 trains at Houston Street and Canal Street. Hudson Square has traditionally been a neighborhood occupied by small creative firms including ad agencies, architects, media companies and design firms thanks to its downtown location and affordability. More major companies have begun to move into the neighborhood because Hudson Square was rezoned in 2013, and since then the neighborhood has seen something of a resurgence. The majority of the office stock in the neighborhood is older; however, since the rezoning a number of high profile projects have begun construction. This includes the massive redevelopment of St. John’s Terminal, which Google will be occupying as part of its NYC expansion as well as 60 Charlton Street which is being expanded. In the last 5 years, the neighborhood has seen prices increase; however, as of Q2 2018, vacancy in the neighborhood was nearly 16%, making it one of the submarkets with the highest percentage of available space. Prior to the 2013 rezoning, there was almost no residential property in the neighborhood, so it was busy during the week and quiet on the weekends and after hours. The rezoning has brought over a dozen new, large-scale residential developments which have transformed the neighborhood into a true live-work neighborhood with similarities to the Flatiron District, among others. 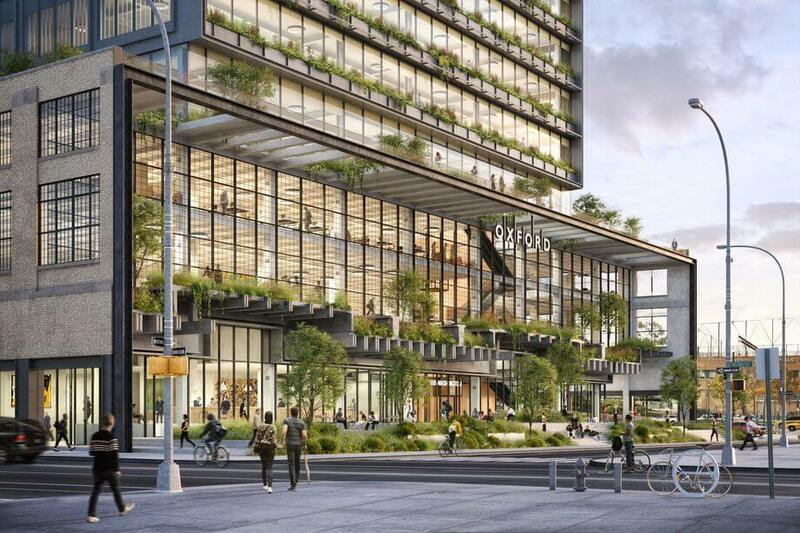 The rise of Hudson Square has begun to attract some major office tenants. In July, Disney announced that they were acquiring property from Trinity Church to relocate their New York Headquarters to Hudson Square, and just this week, Google has decided that it is creating an expansion in Hudson Square as well, on which it will spend $1 billion and hire 7,000 new employees. If your business is considering moving to a new office space, whether in Hudson Square or any other neighborhood, contact us today to learn more. Our team of experienced brokers have the knowledge and expertise to help you find the right space for your business.